While there have been rumors and theories about it, Disney Pixar have CONFIRMED that their movies are connected and it’s blowing our minds. We’ve seen countless fan theories about Disney Pixar movies, like they’re all somehow connected to Die Hard, and while some of them have been debunked by those in the know, we love picking up the easter eggs that are littered through the popular animated films (even if they can sometimes be a red herring). Indeed, quickly following the release of the studio’s latest film, Finding Dory, fans were quick to try and figure out how the movie fit into the Disney Pixar universe. Well, now Disney Pixar have CONFIRMED that all their films take place in the same universe and are all connected. In an official video shared to the Toy Story Facebook page (!? ), the studio showed exactly how all their 17 movies are connected, and the interlinking is so detailed that it’s kinda insane. 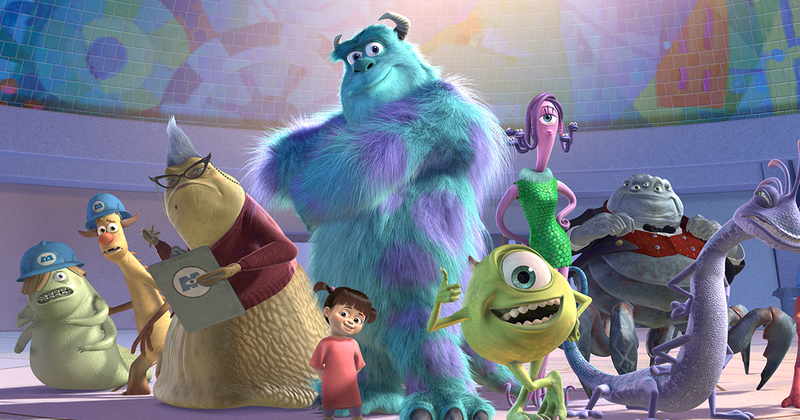 The easter eggs show how certain characters, such as Inside Out‘s Riley Andersen and Sulley from Monster’s Inc, appear in other movies, whether it be cameos, sketches, or just the fleeting passing of a car. Who knew that characters from Brave also featured in Cars (albeit on a hanging rug)? The level of detail is just out of this world! What’s even more astounding, however, is that these aren’t the only easter eggs featured in these movies. There are HUNDREDS of them! Disney Pixar next original movie (aside from Cars 3), Coco, is set for release later this year, and follows the story of 12-year-old Miguel and is inspired by the Mexican holiday Día de Muertos. Personally, we can’t wait to see what easter eggs we can unearth in it when it’s released on November 22nd!